The EMG J Bass Pickup Set has classic jazz bass characteristics with a broader tonal frequency range that adds dimensions and clarity to your bass playing. 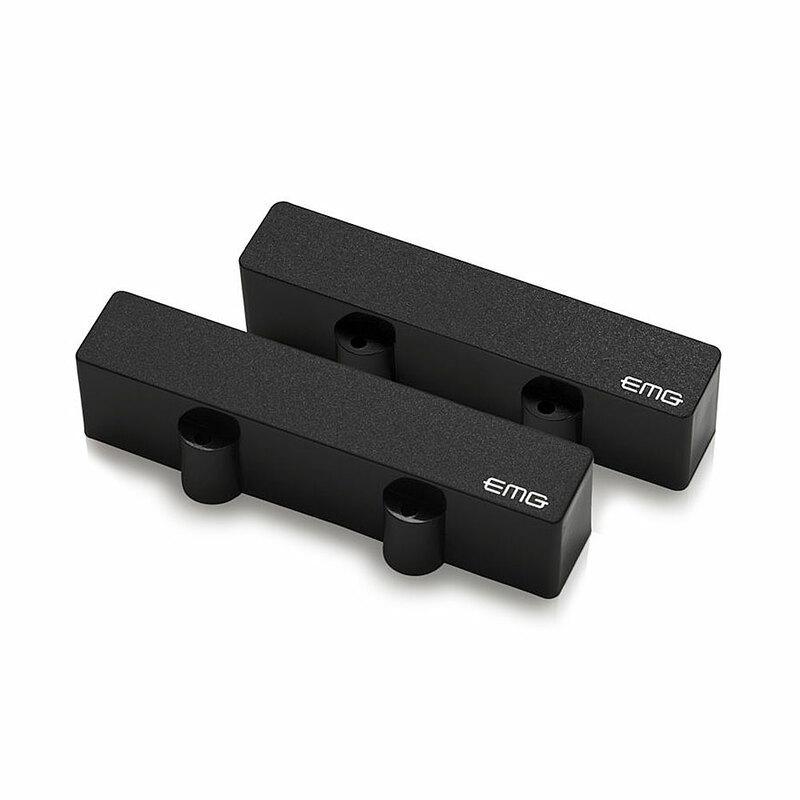 EMG's design has a very low ratio of resistance to inductance which increases the low end response, while the radiused ceramic bar magnet ensures the tone keeps a tight midrange punch with dynamic high end response. Whether you play fretted or fretless, live or in the studio, you'll get an incredibly full sound with these bass pickups. The J set features their solderless system for quick and easy installation, it comes with everything you need including two 25k volume pots and a 25k tone pot, stereo output jack, battery connector and all required connector wires (pickups can be soldered if required).